The 29-year-old Danish custodian is not expected to be out for a long time. 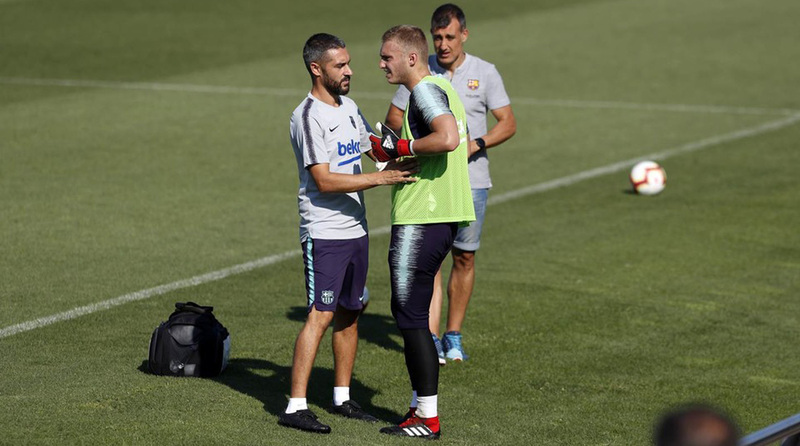 Defending La Liga champions Barcelona suffered a blow on Wednesday as Danish goalkeeper Jasper Cillessen injured his rib during a training session and is now a major doubt for their league tie against Real Valladolid on Saturday. “FC Barcelona goalkeeper Jasper Cillessen has picked up a sprain to an intercostal muscle on his left side. His availability for the upcoming fixtures will depend on his recovery from the injury,” the club stated. Cilessen has been at the Nou Camp since 2016 and has made 21 official appearances for the Catalan giants ever since. Primarily signed as a backup for German custodian Marc-Andre ter Stegen, the 29-year-old Dane has found playing time hard to come by in his past two seasons with La Blaugrana. Reportedly unhappy with being on the sidelines, Cillessen was on the verge of engineering a move away from Barcelona but now looks set to stay put for another season at least. It is unlikely that the 6’1 goalkeeper has suffered a long-term injury and hence, Ernesto Valverde is not expected to make a late purchase in the transfer window. They do not have a senior goalkeeper in their squad and hence, might be forced to call upon a player from their academy till the time Cillessen recovers. The transfer deadline for La Liga clubs is August 31. Barcelona have made a bright start to their 2018/19 season, beating Sevilla 2-1 in the Spanish Super Cup before seeing off Deportivo Alves 3-0 in their La Liga opener on the weekend. Valverde’s men have strengthened their squad significantly in every department save the goalkeeping one and are title favourites, especially after Cristiano Ronaldo’s transfer from Real Madrid to Italian side Juventus.